AeroFS Groups are sets of users which can be created and edited by an administrator. 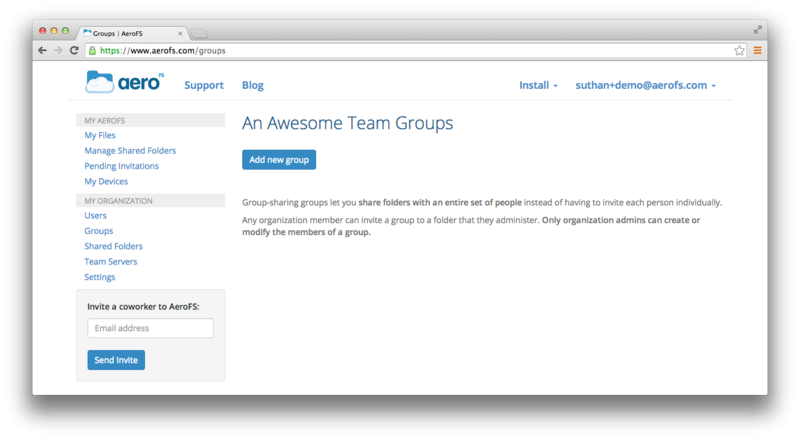 Putting members of your organization into groups makes it easier to invite multiple users to a shared folder. For example, if you create a group called "Marketing", you can add members of the marketing team to this group, and whenever you want to share a folder with the marketing team, you only need to invite the marketing group rather than invite each team member individually. An administrator can create AeroFS Groups by clicking on Groups > Add new group in the Web Admin Panel as shown below. 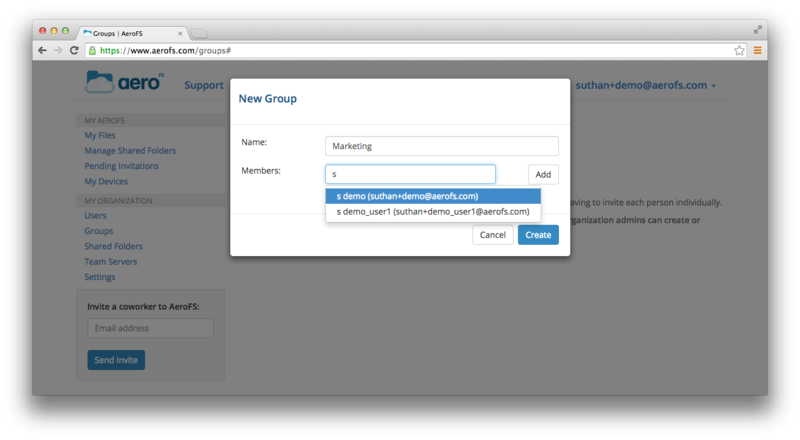 Alternatively, you can automatically create groups via LDAP Group Syncing. 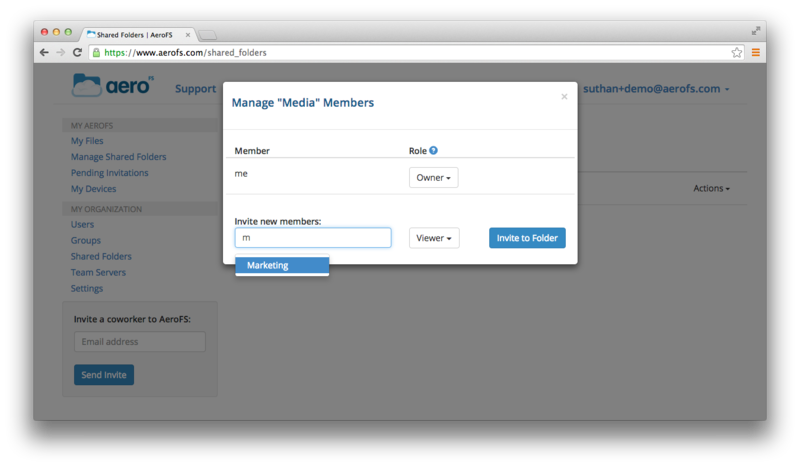 Then simply enter a name for the group and start typing the group member's email in the 'Members' field. If the user is an existing member of your organization, you will see their name and email ID appear in the auto-complete suggestion list as shown in the image below. Select the appropriate user from the suggestion list and click on Add. Once you're done adding all users, click Create. After creating the group, organization members can share folders with the group as shown below.